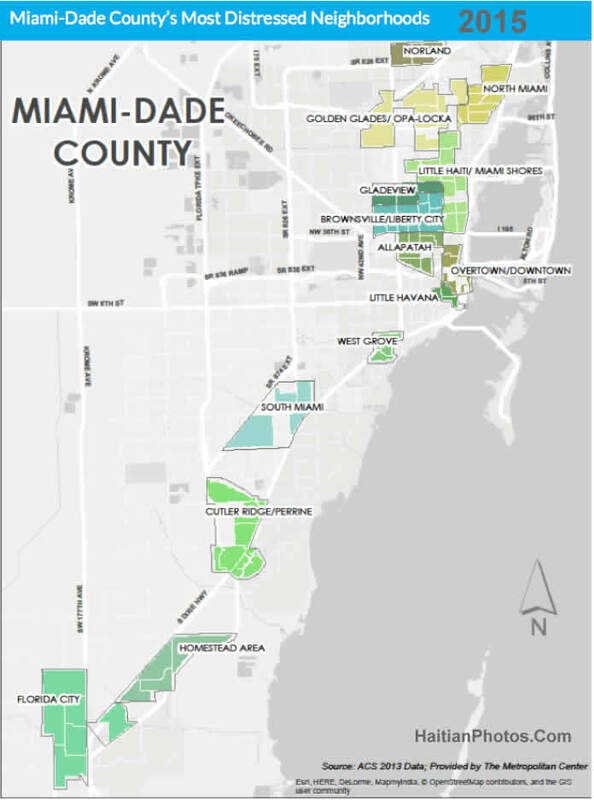 Here is the map of Miami showing Little Haiti among some of the most distressed neighborhoods in Miami in 2015. In last May, the Miami-Dade Board of County Commissioners requested Florida International University's Metropolitan Center to prepare a community-based prosperity strategy for Miami-Dade County. The study must involve a comprehensive analysis of the economy to get into the root cause. As per the plan, the intended strategy would include a feasibility analysis of five pilot programs designed to build wealth in the distressed neighborhoods other than providing an immediate external robust look. The five initiatives proposed and analyzed in the report, which could possibly have the greatest impact in terms of wealth building, were, (a) Social Enterprise Incubators & Accelerators; (b) Community Land Trusts; (c) Community Benefits Agreements; (d) Children's Savings Accounts; and (e) Employee-owned Business Cooperatives. The glooming economy of the Haitians residents in Little Haiti is evident from a simple economic indicator: the average annual household income of Little Haiti residents is only $13,381 compared to the area mean income of $43,100! 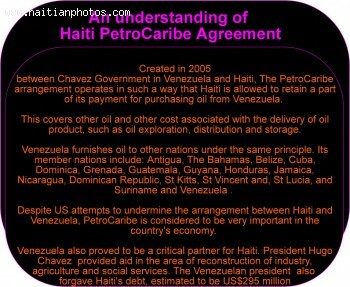 Despite attempts to undermine the arrangement between Haiti and Venezuela, PetroCaribe proves to be a great source of help for the country. PeaceOn September 25, 2014, Edmond Mulet, the Assistant Secretary-General for Peacekeeping Operations at the United Nations and the former Special Representative of the Secretary General of the UN and Head of the MINUSTAH has praised the Haitian President Michel Martelly for the significant progresses he has made in Haiti during Martelly / Lamothe regime. The Martelly's team is honest, very engaged and committed to their country. The only weakness is that President Martelly doesn't have a political party-- to back him in parliament. His base is really the population at large. He was satisfied with the level of security management system in Haiti and urged the Haitian Senate to take steps to hold parliamentary and local elections at the earliest opportunity. Edmond Mulet is a former Guatemalan politician and diplomat. He first came to Haiti in June 2006. Prezidan Michel Martelly resevwa kalifikasyon de nouvo anbasadè akredite an Ayiti, se Anbasadè Sharon Isabel Cambell nan Wayòm Ini ak Anbasadè Marcelo Apicella nan peyi Itali. President Michel Martelly received the credentials of two new Ambassadors accredited to Haiti, Ambassador Sharon Isabel Cambell of United Kingdom and Ambassador Marcelo Apicella of Italy. On Monday, December 14, 2015, at the National Palace, President Michel Martelly received the credentials of two new Ambassadors accredited to Haiti. The new ambassadors are: Ambassador Sharon Isabel Campbell (United Kingdom) and Ambassador Marcelo Apicella (Italy). Ambassador Sharon Campbell joined the Foreign & Commonwealth Office (FCO, UK) in 1983. With vast experience in international affairs, including security and consular matters, she has previously served in Poland, Bangladesh, Indonesia, Venezuela, and Belgium. Earlier to this appointment, she was the British Ambassador to the Republic of Costa Rica (2011-15). Her husband Christopher Campbell is also a diplomat (FCO, UK). Marcelo Apicella (born June 10, 1964) joined the diplomatic career on July 3, 1995. He was appointed as the Secretary of Legation in June 1997. In 1999, he was appointed as the Consul at Split, Croatia (1999 -2005). Later became Secretary of Legation at the Consulate General of Italy, in Paris with the capacity of Consul. In 2007 he returned to the Foreign Ministry as the Directorate-General for Human Resources and Organization. In 2010 he was appointed First Counsellor for Emigration and Social Affairs in Buenos Aires. From January 1, 2013, he took charges as the Minister Counsellor at the Italian Embassy in Buenos Aires. He was appointed as the Italian Ambassador in Panama on June 2015. 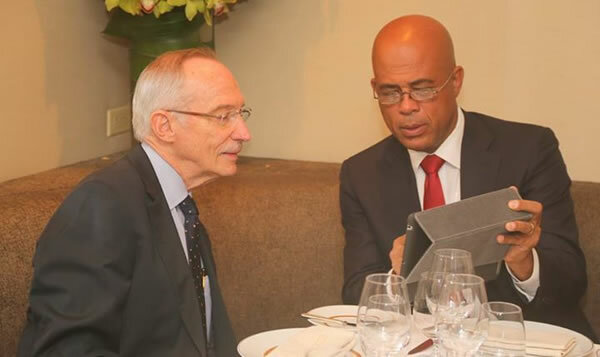 The two new Ambassadors have reiterated their commitments to strengthen ties between the countries and improve the living conditions of the Haitian population. 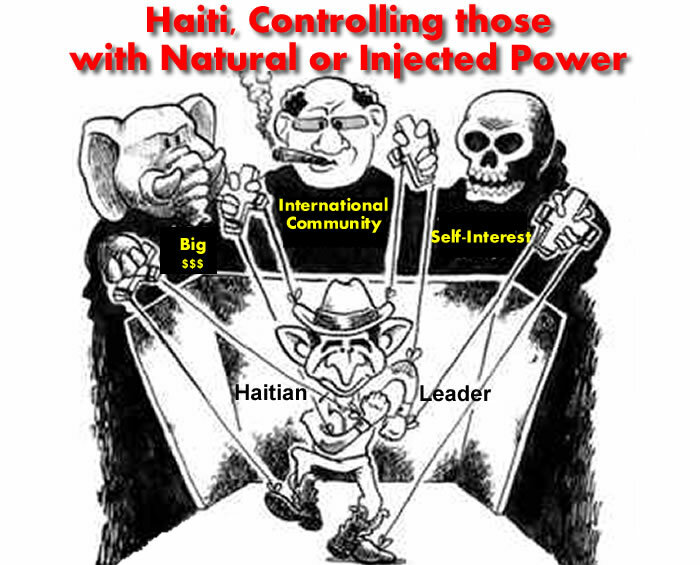 In Haiti, the ongoing game of controlling those with the most Natural or Injected Power. Haiti, one of the most interesting countries in the world in term of power struggle. This is a country since its inception in 1804, has been fighting itself. the country took its independence from the French under the notion of freedom, which many believe it is one of the biggest revolutions in the history of the world. 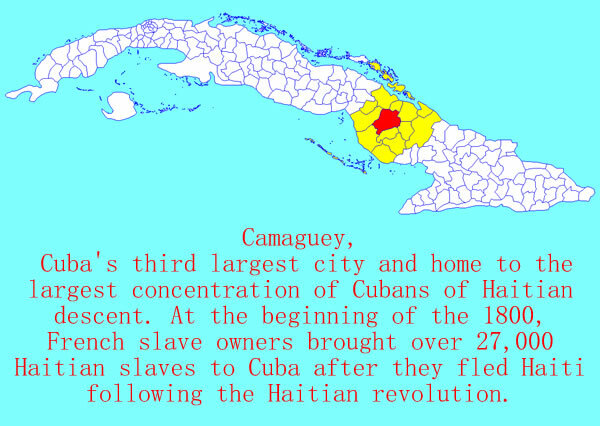 However, because of this independence, it seems that Haiti has been put in a unique box. It seems that more than anything the decision has been made that Haiti must be controlled at any cost. One of the hardest things found by those wanting to control is the individual control. 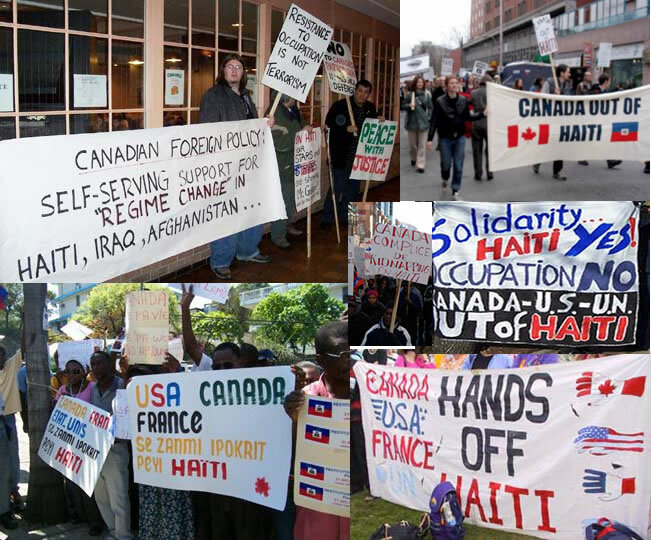 Due to many factors such as volume of the population, what everyone listens to or watches or is associated with, the individual control is almost impossible in Haiti. However, Haiti has been under control. The method used is to control by controlling those with the most natural or injected power. 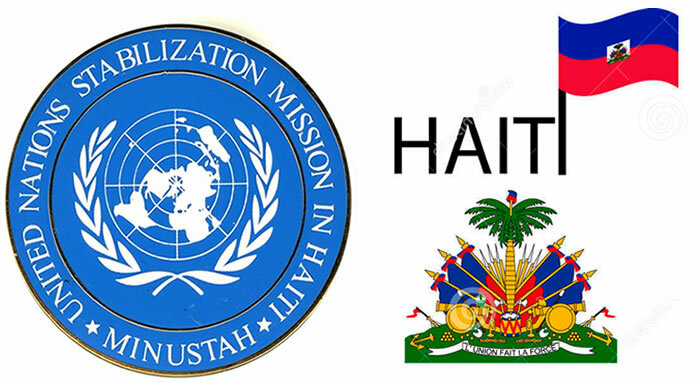 As a result, we often end up with leaders that do not serve the Haitian population. These leaders such as Presidents, Prime-Ministers, Senators, Deputies, politicians, and others are serving others and in the meantime try as much to enrich themselves. They are puppets, taking dictation from their puppet masters. Often these decisions have nothing to do with the interest of the Haitian society. In the meantime, we as a society continue to dig our own grave, saving those same puppet masters time an energy to do it. 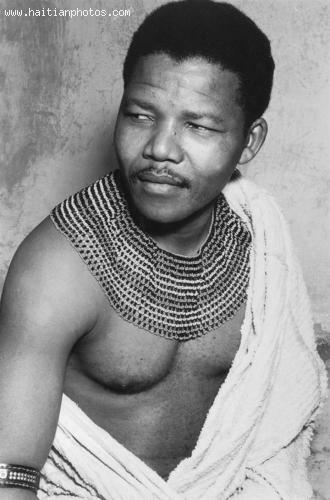 Nelson Mandela was held in prison for 27 years. He was first imprisoned in Robben Island and was then shifted to Pollsmoor Prison and was later moved to Victor Verster Prison. In the year 1990 he was granted freedom after international pressure and increasing civil strife. After he gained freedom, he became the President of the ANC and went on to publish his autobiography. He later started and spearheaded the negotiations with F.W. de Klerk and asked him to abolish the apartheid policy and demanded the establishment of multiracial elections for year 1994. 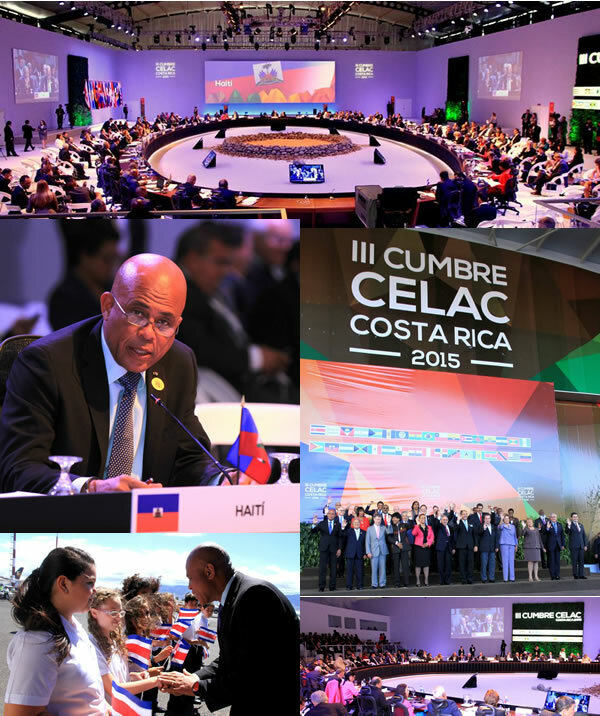 Here is a set of pictures of President Michel Martelly at the the 2015 CELAC summit in Costa Rica.